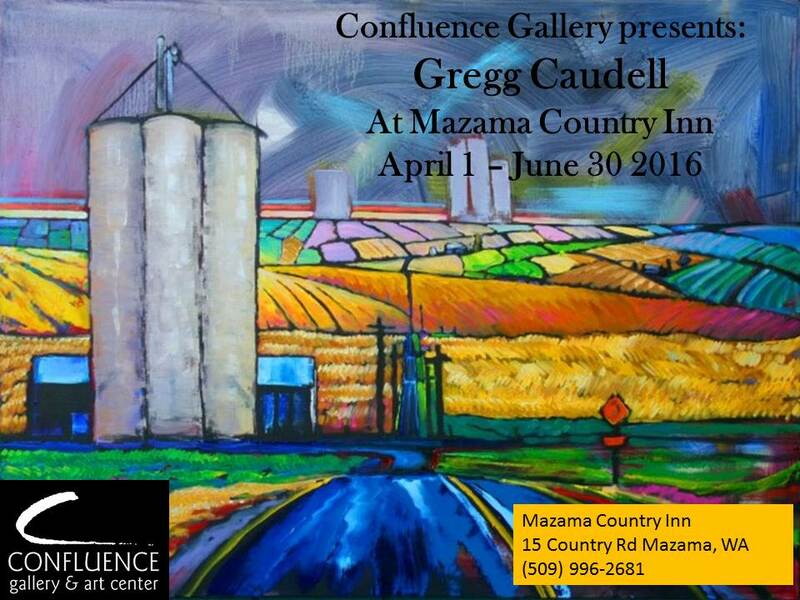 Confluence Gallery presents the art of Gregg Caudell at the Mazama Country Inn featuring luminous and colorful oil paintings of the Palouse area of Washington State. As a painter and farmer Gregg regards life as the greatest art where beauty is a matter of a paintbrush or a plow. Most of Gregg’s work is done “en plein air” or “on location”. Painting on location has taught him the importance of “place” as Gaugain pointed out “where we come from, what are we and where we are going.” Gregg works from his home studio on the Colville Reservation in Eastern Washington State and on locations across the State.